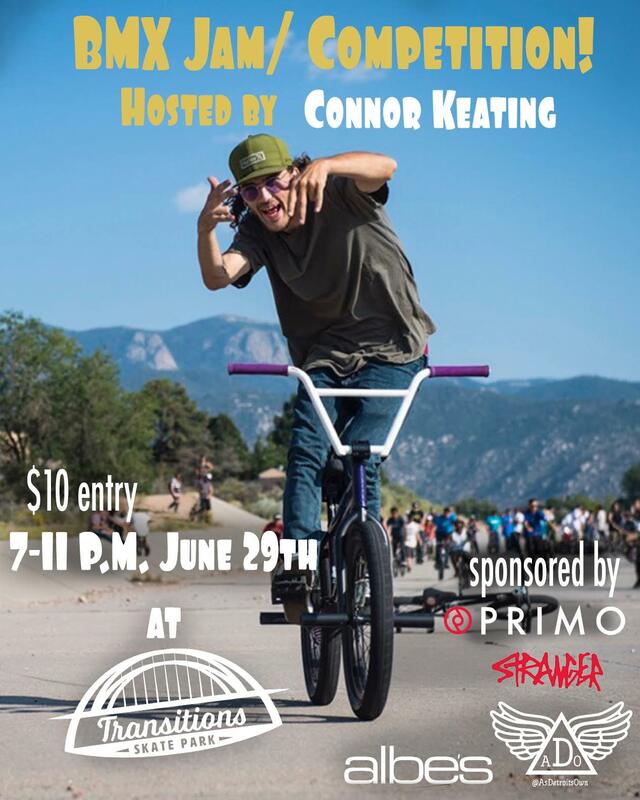 We will be having a BMX jam and competition on Friday, June 29, hosted by Connor Keating. $10 entry, all ages and abilities welcome. Prizes from the sponsors will be awarded. After the jam, stay for the all-nighter ($20)! See you there.